The Gulf Coast Town Center is one of the favorite places for shopping and entertainment for people of Fort Myers and its surrounding areas. But sometimes bad things happened to good people. Occasionally, people get injured there because of the Center's negligence. If you were injured at the Gulf Coast Town Center, you will want to consult with the best Fort Myers personal injury attorney that you can call. Since consultations are free, there is no cost to get the answers that you need. You owe that to your family and yourself. You may be entitled to compensation for your injuries. The first few steps after the accident can be crucial to getting just compensation, therefore having a lawyer on your side could make the difference between successful and unsuccessful case. That's where our Gulf Coast Town Center accident lawyers at the Wolfson Law Firm in Fort Myers can help. We understand the complex issues involved in mall accidents and injuries and we are here to help you. We have helped injured victims in Florida since 1963. Call us for free consultations at 239-777-9954 and let us work with you to make sure that you get the justice and the compensation that you deserve. 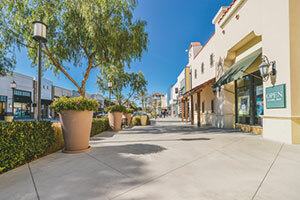 The Gulf Coast Town Center may or may not be liable for the injuries you sustained there. That's why you should speak to a lawyer before doing anything recovery-related. A good Fort Myers injury lawyer will explain to you that under the Florida premises liability laws, Gulf Coast Town Center owes visitors a duty of reasonable care. That means that they must undertake all the necessary and reasonable measures to prevent foreseeable injury-causing accidents. However, mistakes happen and sometimes they breach this duty due to negligence. That can lead to accidents with injuries and sometimes tragic results. Gulf Coast Town Center may be legally responsible for paying for those results and injuries. Sometimes the injuries happen at stores and restaurants in the mall. If someone else other than Gulf Coast Town Center controls the premises where the accident has occurred, then they may be responsible. That is why our Gulf Coast Town Center accident attorneys in Fort Myers conduct extensive investigations and make sure to identify all potentially responsible parties. We know that it seems complicated to determine who is responsible for your injuries and that's where we could help. Call our Gulf Coast Town Center accident lawyers at the Wolfson Law Firm in Fort Myers and let us help you determine if you are entitled to compensations, who should pay it, and what is the best way to proceed. Our consultations are free. We handle cases on a contingency basis, which means that you won't pay unless we recover compensation for you. Call us now at 239-777-9954. The Wolfson Law Firm is to be found at 3049 Cleveland Ave #140, Fort Myers, FL 33901 and provides complete personal injury legal representation to the Southwest Florida towns and communities of Lehigh Acres, Marco Island, Fort Myers, Alva, Saint James City, Verona Walk, Boca Grande, Ave Maria, Bokeelia, Plantation Island, Pelican Bay, Sanibel, Cape Coral, Bonita Springs, Island Walk, Captiva, Estero, Orangetree, Fort Myers Beach, Pineland, Naples, Everglades City, Golden Gate, Lely Resort, Goodland, Immokalee, North Fort Myers, Chokoloskee, Lely, Vineyards, Naples Manor, Naples Park, Ochopee, Pine Ridge, East Naples and North Naples.